Apart from dominated iOS by Apple and Android by Google in the field of smart phone, Windows Mobile OS by Microsoft has been developing it's a series of phones including Windows Phone 7, Windows 8 and latest Windows Phone 8.1. Even though its stable system and concise interface had been attracting a lot of users, data loss also plagues its users to the greatest extent. If you are unluckily suffering the same problem as well, keep on reading to find the answer. Is Possible to Retrieve Data from Broken/Dead Windows Phone? 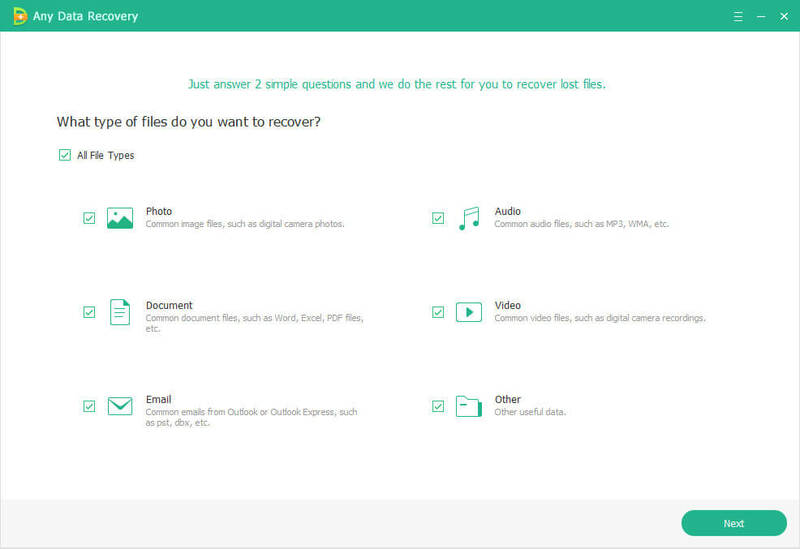 There are lots of omnipresent data recovery software and article to teach individuals recover data from iPhone/iPad/iPod and recover contacts, photos and songs from Android phones and tablets. However it is rarely known for most of Windows Phone users whether data on Windows Phone can be recovered after its damage and formation. The answer is absolute YES! In fact, when files on Windows Phone are deleted, lost or formatted, the raw data are not wiped off your device permanently. 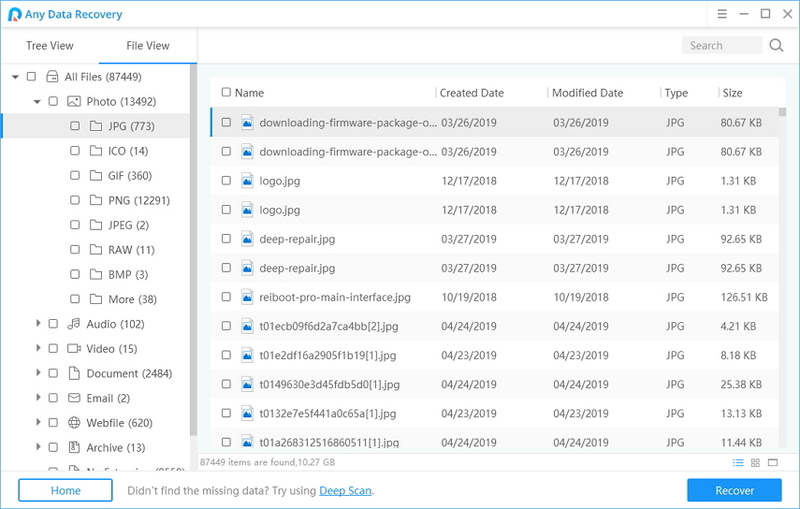 Instead, device will only mark space as free so it can be used for new files, which make it possible to restore lost files on Windows Phone. 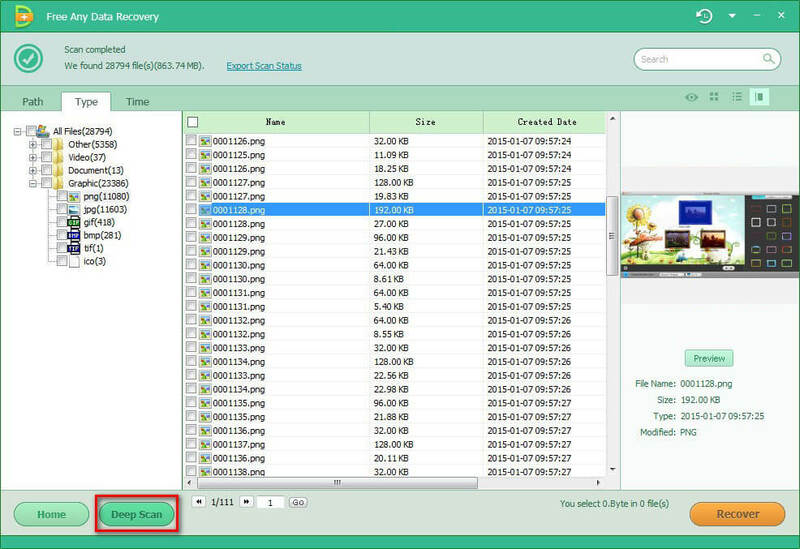 Now move to next part and get know how to perform data recovery on Windows Phone. How to Recover Data from Windows Phone Internal/External Memory? To ensure the maximized success rate of restoring files on Windows Phone, you'd better to sort to a powerful and professional third-party tool. Here I sincerely recommend Any Data Recovery Pro – be able to deep scan the Windows Phone's SD card to search and find all the lost files including pictures, audios, videos, documents, emails, archives and others back to your Windows Phone. Now you can follow the next steps below to restore deleted files from Windows Phone 8/8.1/7. Step 1. Click download button below to download and install the program on your computer first. Take out the memory card from your Windows phone and connect it to computer with a card reader. Step 2. Start the program and you will be prompted to select the types of files you want to restore. Generally speaking, all the files are ticked automatically by default. Surely, you can individually tick the wanted files. After that, click Next to go on. Step 3. Here you will be asked select a location that stored your lost files. Make choice of location and click Next to scan your lost files. Step 4. Now all the files are listed by folders on the left-side bar. You can click corresponding folder to preview the files you want to recover. Then tick the files and click Recover on the right lower corner to get lost Windows Phone data back instantly. It should be noted that Any Data Recovery can not only restore deleted files from Windows phone 8/7, but also allows you to retrieve lost data back from Windows desktop/laptop, such as Samsung, HP, Dell, Lenovo, Toshiba, Sony, ect. Meanwhile, you are supposed to realize that the best way to avoid data loss is to back your phone's data up in time. Done! If you have any question about either the data loss or program, please leave it under the comment section.